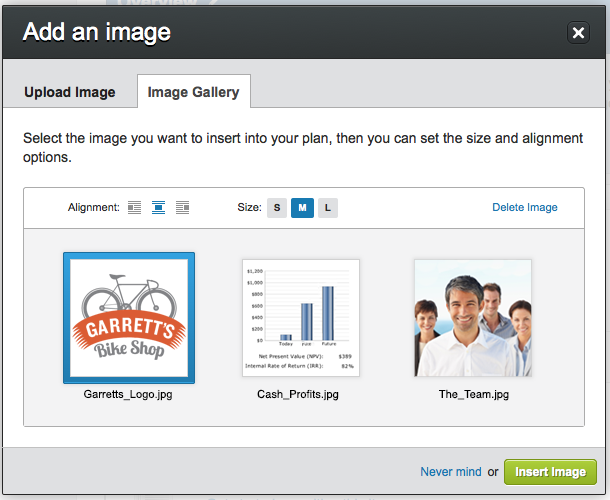 Add images to your plan! Note that image handling in the PDF output, while generally solid, is not as foolproof as we’d like. There are several known issues for which we are awaiting improvements from the third-party publishing component that we use to generate PDFs. 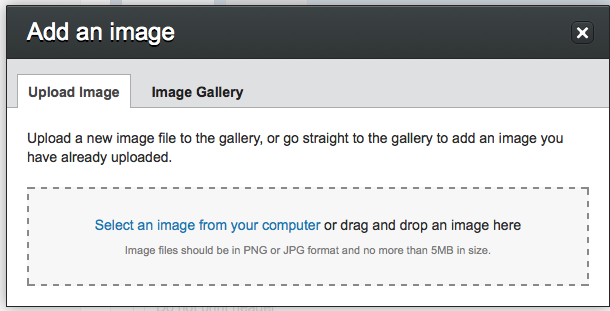 If you have any trouble with image placement in PDFs, see our help page here. Give it a try, and see what you think. As always, you can just click the Give Feedback button in the header to send us a quick note. We’re eager to hear from you! The app’s original Help Center was an early casualty of our fast-paced development schedule. We have remedied that now, though, and have added a great help author to the team to provide timely, accurate documentation. Check out the all-new Help Center, which is accessible from the Help & Resources menu or publicly at liveplan.desk.com. A quick, responsive interface is an important part of your user experience, and we want to make sure the app stays snappy as our user base grows. This month, we made notable changes in our infrastructure to speed up a couple of slower features (particularly the Edit Outline view), which also produced significant gains across the board in our internal speed tests. Let us know what you think of the results. As always, our development team is already several weeks into work on the next batch of features, which will go live at the end of the month. If you are interested in taking an early look at our new features in progress, click the Give Feedback button in the app and drop us a note. We’d be happy to get your feedback.